Cesar Millan is a best-selling author, public speaker, and the internationally acclaimed star of “Cesar Millan’s Dog Nation,” and also hosted both “Cesar 911” and the original, Emmy-nominated “Dog Whisperer” program. With “Dog Nation,” he brings more than 25 years of canine experience as he brings his son Andre on a cross-country road trip to discover inspirational canine stories and connect with people and organizations that are working to make our world a better place for us and our pets. In December of 1990, 21-year-old Cesar Millan crossed the border from Mexico into California. He lived on the streets of San Diego, landed a job grooming dogs, and soon gained a reputation for his calming effect on even the most difficult cases. With a few dollars in his pocket, he moved north to Los Angeles and took a job washing cars. 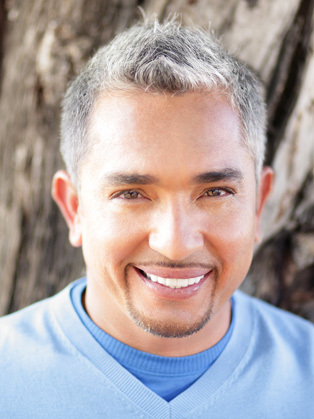 In addition to co-authoring seven books, Cesar has created numerous instructional DVDs and has brought his popular live shows “Cesar Millan LIVE!” and “Once Upon a Dog” to audiences around there world. Attendees learn how to apply his extensive knowledge of dog psychology and rehabilitation techniques. In “Dog Nation,” he and his son Andre do more than just help people with their dogs. They bring us on an adventure to see the many, many ways in which dogs help us to learn, to love, to laugh, and to heal.